April May's life is changed by a man. To be specific, a giant metal man whose clones show up in major cities around the world. The "Carls" throw April May into the world of fame, her becoming the leading expert, and eventual advocate for them. But strange things keep happening, shared dreams filled with codes, inciting riots, polarizing all of the world. Can April May convince them that they came in peace, when she's not sure herself? 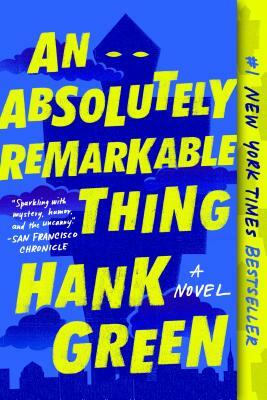 Hank Green's debut novel definitely sets him apart from his brother, John, making his own mark in the literary world.